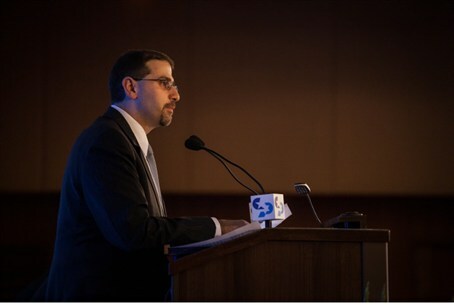 Dan Shapiro praised Women of the Wall and spoke at their anniversary event, supporting the group's challenge to traditional Jewish practice. US Ambassador to Israel Dan Shapiro wrote on his Facebook Tuesday "Mazal Tov to Women of the Wall on 25 years of prayer together," following the group's prayer at the Western Wall Monday which challenged traditional Jewish practice at the holiest site in Judaism. Women of the Wall's Facebook page reported that Shapiro spoke at the organization's 25 year anniversary event Monday. There he said "I have had many honors...none as great as standing in support of Women of the Wall." Shapiro has been involved in other public challenges to traditional Judaism in Israel. Haaretz reported that Shapiro attended Tel Aviv's Gay Pride Parade in June 2012. The event, along with its Jerusalem counterpart, has been a source of friction between religious and secular Jews, as Jewish law explicitly forbids homosexuality. Women of the Wall mustered 200 attendees to their prayers at the Western Wall Monday, an unusually large turnout for the group. Their numbers were swelled by 3 American reform missions which had been specifically flown into the country. The group, which espouses "religious pluralism," appears to have a not quite innocent motivation. Back in July, Anat Hoffman, head of the group, wrote an article on the Religious Action Center for Reform Judaism website entitled "support our rally to end the chief rabbinate." She concluded the article saying "it is time to throw out the whole rabbinate."